My review of Heidi Holland’s Dinner With Mugabe was featured on the Zambian Economist website. Read the recently updated version here. I spent six months writing Zambian sports news for the Zambia Weekly, an online news aggregation website. 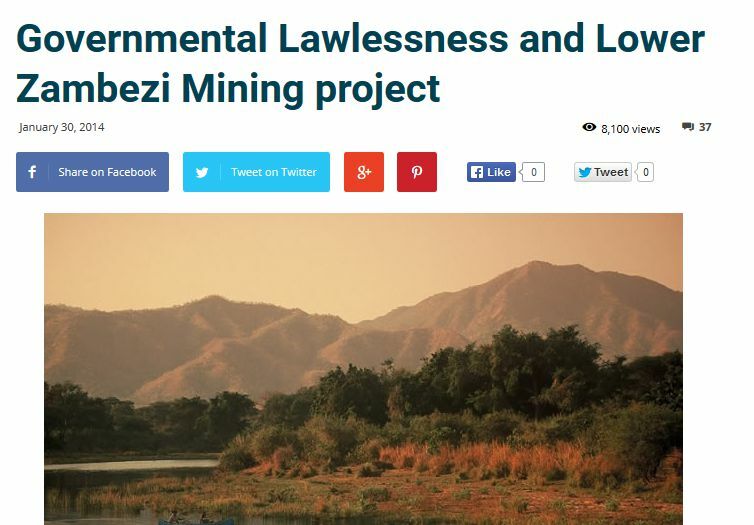 I wrote this Lusaka Times article in response to the Zambian Government’s decision to allow Zambezi Resources of Australia to mine for copper in the Lower Zambezi National Park. I shared some thoughts on the weather, identity and belonging in this piece for ZAMORA Lifestyle Magazine. You can read the full article on the blog here. In this piece, I shared some thoughts and insights into the Zambia “Afro Chic” industry from a socio-economic perspective. I also interviewed Muchanga Mudenda who co-owned a now closed fashion house called VALA. You can read the full article on the blog here. I attended the Lausanne Movement’s Younger Leaders Gathering (YLG) in Jakarta, Indonesia as a freelance writer. I interviewed several delegates and wrote this blog post as the first of three during the gathering. I had several conversations with business people in Zambia on the challenges facing small, ambitious Zambian businesses. This article shares some of the things I learned.